I bought tires from a tire shop when it offered a $100 mail-in rebate for a set of 4 tires of certain brands. The mail-in rebate came in the form of a prepaid debit card instead of just a plain old check. Companies do that because their rebate vendors convince them prepaid debit cards work better for their business. If you receive a prepaid debit card with a small amount of money on it, it can be a hassle. You have to figure out how to get the money off it instead of just depositing a check. You can use the card at any store, if you remember to bring it. These cards have an expiration date. If you forget to use it before expiration, you may lose the money on it. Most stores can automatically get the remaining balance on the card. If you are buying $35.32 and your prepaid card only has $7.53 on it, you don’t have to remember how much you have left on the card or tell the cashier about it. The store’s system will know that when it tries to authorize $35.32. The bank will tell the store "I can’t approve $35.32 but I can approve $7.53." This is called a partial approval. 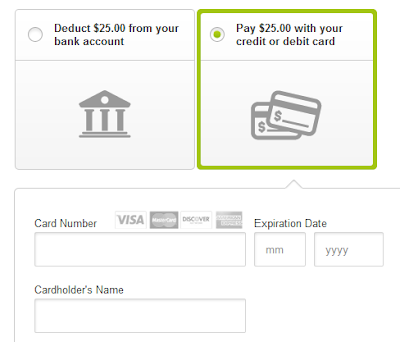 The store will then take $7.53 from the prepaid card and ask you to pay the remainder. A better way would be to use the prepaid card to make a one-time payment toward a utility service, such as a cell phone or Internet service. This way you can empty the entire balance on the prepaid card in one shot as soon as you receive the card. Even if the balance on the card exceeds your bill, the cell phone or Internet service provider will often accept a larger payment. They just carry the balance forward to the next month. Emptying the card in one shot is much more efficient than trying to remember to bring the card to the stores and actually use it. It also makes sure you get 100% of the money before the card expires. You lose the rewards you would otherwise earn if you pay with a credit card. There’s not much you can do about that. You might wonder why companies send you these prepaid debit cards instead of a plain ol’ check. A prepaid debit card carries the company’s logo. Unless you do it the way I’m suggesting here, it stays in your wallet longer, reminding you about the company every time you see it, versus a paper check you just deposit and forget. When you use the prepaid card, the bank gets a fee from the store. That lowers the net cost of issuing the rebate, maybe even makes it negative. You can’t stop companies from sending you a prepaid card instead of a check. 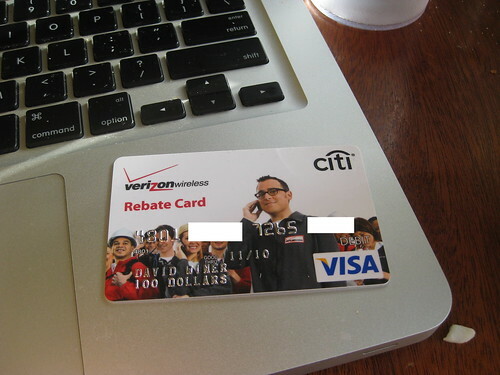 Getting a rebate on a prepaid card still beats not getting it at all. So you don’t have to go out of your way to avoid the prepaid cards. Just get the money off them in one fell swoop and you are done. It can be as easy as depositing a check. Good suggestion. I’ve tried to use these cards a few places and had difficulty if the cashier isn’t trained or point of sale system isn’t as flexible as you describe. Using them at the grocery store has always worked very smoothly for me. I choose to buy Amazon gift cards and send them via email to myself. Works great. You’ve ignored the primary reason why companies issue rebates on cards instead of with checks these days: the cards will often never be fully used up by the time they expire. It is just another technique for abusing customers. That is why the cards cannot get cash back and have no ATM privileges. These suggestions are, however, very useful. You are exactly right “radwriter”. Both the card issuer and the company make “extra” money by using the rebate cards. They play the numbers and odds game of those who fail to use the cards and make big time money. Also as pointed out in the article, the advertising. Same thing is used by states who take in money and property through escheat. They play the numbers game of betting on people not to claim their own money and make big time money. It is called theft or stealing. I have been able to in the past take the prepaid card into my bank to a teller and get the actual balance in cash in hand. This was a long time ago, but is it still possible? or is another way around it to use the rebate cards to purchase visa gift cards and then use them as cash to make payments to the seller that doesn’t permit using their own rebate cards as payments towards the balance due? You can try taking a cash advance at a bank. Worst case you get a decline. Buying a Visa gift card costs $5 or $6. The easiest is still paying a utility, such as your Internet service provider. Or just remember to use it when you buy groceries. i have a $12 debit card from hartgard (after buying from the vet) & still am not able to buy anything under $12. it expires next month. i absolutely hate these debit cards that i can never use. i purchased a visa rebate debit card from a gentleman for half the amount that was on the card, i tried to pay my utility bill and they asked me for my zip code, the gentleman did not say anything about that so what do i do ? If your own zip code doesn’t work it may have been registered to the gentleman’s address. In that case if you don’t know it you can’t use it at places that ask for the billing address or zip code. Use it at a store then. Can you use the Cooper tire virtual prepaid rebate card anywhere or can you only use it for online purchases? My boyfriend is telling me that I can only use it for onlin purhases, please if anyone knows can you reply asap. my rebate cards did not work at walmart I have 4 rebate cards each equaling $15.00 that’s a total of $60.00, so what do I do if they don’t work.